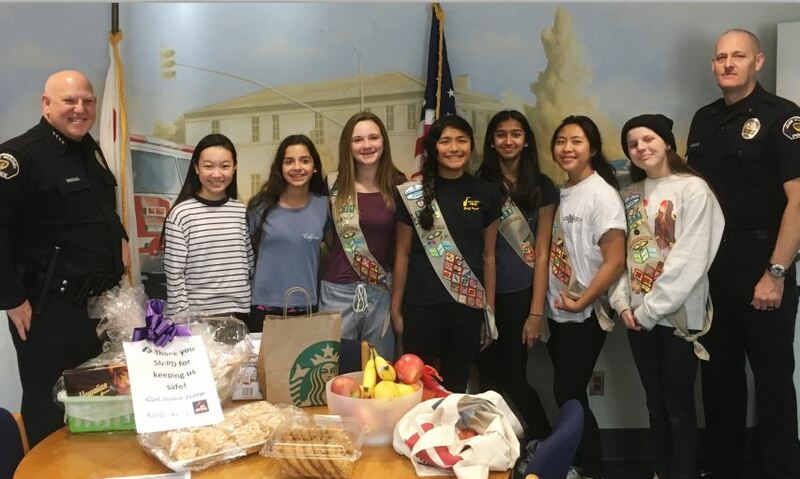 Photo courtesy Troop 3671 Huntington Middle School’s Cadette Girl Scout Troop 3671 recently dropped by the San Marino Police Department to say “thank you” to Chief John Incontro and his police staff for the great work they did during last week’s school lockdown. The Girl Scouts brought baked goods for the staff. From left are Incontro, Olivia Lee, Nicola Iannelli, Megan Gautereaux, Malia Rose, Vahini Garimella, Leia Sun, Emma Cates and Sgt. Aaron Blonde. Not pictured: Ali Rubin.